Despite a new bipartisan push on climate change, legislation on the issue is unlikely to make it to the Senate floor this year, two Senate Democratic sources tell CNN. That would be a blow to three senior senators set to unveil a much anticipated bipartisan measure dealing with climate change Monday morning. The main reason sources say the prospects for the legislation are dim is because Senate Democratic leaders have decided to try to put immigration reform first on the agenda, and after that there likely won't be an appetite for another politically divisive issue before November's election – especially with a Supreme Court nomination ahead and a desire to stay focused on the politically potent issue of jobs. This strikes me as a terrible idea. First of all, climate legislation is just plain more important than immigration reform. The latter is important, but the former is dire. Given that Republicans may well take control of the House in November, and could easily hold it for a long time, this year could literally be the last chance to pass climate legislation, however watered down. The Democratic sources said the feeling in the Senate Democratic leadership is that immigration has more of a political upside for Democrats for several reasons. Democrats know that Latinos who voted for President Obama and other Democrats in 2008 are furious that Democrats have not yet kept the promise to advance comprehensive immigration reform. 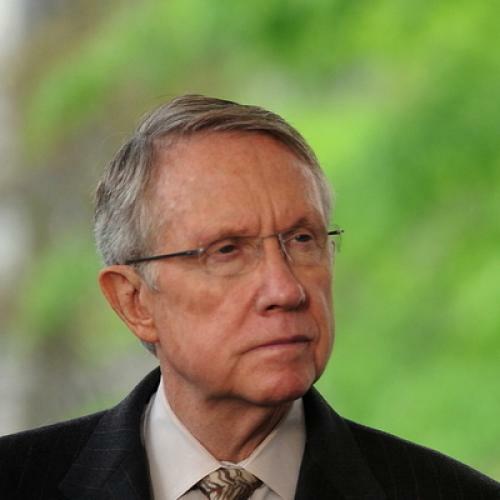 Immigration is especially critical politically for Senate Majority Leader Harry Reid, D-Nevada, who is down in the polls for his re-election bid in a state where a quarter of the population is Hispanic. It's true that immigration splits the GOP. But it also splits the Democrats, who have a lot of members representing heavily white, working-class areas. Increasing the political salience of immigration at a time when unemployment is over 9% does not seem like a good strategy to help them. Also keep in mind that the House has already passed a climate bill, but hasn't passed an immigration bill. The irony, lost on few of the participants, is that neither bill is really expected to be signed into law between now and November. Immigration reform, which once garnered bipartisanship support in the Senate a few years ago, has wilted as American-born workers battle lower-paid immigrants for vanishing low-wage jobs. And climate change, despite gathering momentum on the Hill, faces deep skepticism from coal-state and rust-belt Democrats who see it as a job killer. If this is Reid's decision, the White House needs to come down hard on him. It's outrageous to sacrifice a chance to make progress on the biggest single policy challenge merely to increase the reelection chances of one Senator. This episode also shows, again, why it's a bad idea to have your Senate leader hail from a state that leans toward the opposing party.